Winter will be here before we know it. Are your pastures ready? Now is the time to take care of all repairs and preparations for the oncoming winter. Walk all of your fence lines and inspect the fencing for safety. Look for any broken or weakened fencing sections, and make sure that all gates are in good working order, that the hinges are strong, and the latches are secure. Oil the hinges on all of your gates to keep them swinging freely through the winter. If you have electric fence, tighten it and check that it is functioning properly. Replace any damaged or loose fencing boards, and hammer any nails that may have worked their way loose back into place. As you walk the fence lines, keep an eye on the conditions of the pasture itself. If the grass is heavily grazed down or if mud is an issue in areas, then the pasture may benefit from reseeding in the spring. 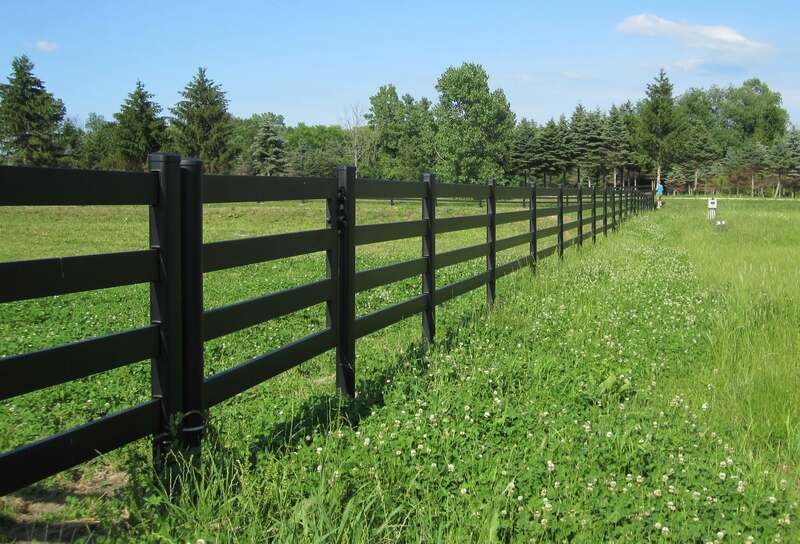 Plan ahead now – if you'll need to create a sacrifice pasture, or fence off a portion of the existing pasture to keep horses off of it while reseeding, then install all of the necessary fencing now. It will be much easier to install fencing while the ground is soft than it will be to attempt it toward the end of winter with the ground still entirely or partially frozen. How do you plan to keep your horse's water from freezing this winter? If you'll be using a trough heater or a heated bucket, get them out now and make sure that they're functioning properly and that the cords and outlets you'll be using are in good, safe condition. Check any hoses for breaks or cracks, and replace them now, before the winter. If you don't have a no-freeze hose already, consider investing in one; it will make filling troughs and buckets much easier in the freezing temperatures. Now is also the time to make sure that all faucets are properly insulated. It's a great idea to prepare your pastures now, while the temperatures are still warm and repairs and fencing installation are still easy to perform. You'll be grateful that you've gotten these tasks completed by the time winter sets in.